Abu Dhabi Urban Planning Council (UPC) said it has given approval to the detailed masterplans for Phases Two and Five of Masdar City, one of the world’s most sustainable urban developments, coming up in the UAE capital. The project is being developed by Masdar, a leading renewable energy and sustainable development company in Abu Dhabi. According to the company, Masdar City is targeting a 4 Pearl Estidama Community Rating, the first development in the UAE to do so. The approval of the city’s new detailed master plans also coincides with Masdar’s 10-year anniversary and an ambitious phase of expansion now under way at the development. Anthony Mallows, the executive director at Masdar City, said: "Obtaining the UPC approval of the detailed master plans opens the way for the future ambitious expansion of Masdar City, and is further evidence of our commitment to realise the world’s most sustainable urban development." “Masdar City aspires to be a model for the way our cities are built in the future, setting new standards for reducing energy and water demand, waste and carbon emissions. 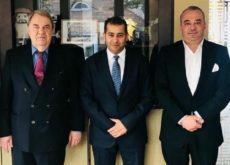 We look forward to becoming the first development in the UAE to achieve the 4 Pearl Estidama Community, working in partnership with the UPC,” stated Mallows. Mohamed Al Khadar, the executive director for Urban Development & Estidama Sector at UPC, said: "The approval of the detailed master plans is an important milestone for the development of Masdar City, which is a vital component of Plan Capital 2030, and of the UPC’s vision to create sustainable, safe, walkable and attractive neighbourhoods for all Abu Dhabi residents." Estidama, which means ‘sustainability’ in Arabic, is a UPC initiative aimed at transforming Abu Dhabi into a model for sustainable environmental, economic, social and cultural urbanisation. The Estidama Pearl Community Rating System (PCRS) promotes the development of Complete Sustainable Communities (CSCs) and advocates improvements in the quality of life of all residents. Achieving a Pearl Community Rating requires the integration of the four pillars of Estidama – social, environmental, economic and cultural – and a collaborative, inter-disciplinary approach to master planning. Maximising water and energy efficiency, reducing waste, and using locally sourced building materials are priorities – both to reduce the environmental impact of urbanisation and to improve the overall supply chain for sustainable products and services, according to Tradearabia news report. “The UPC’s Estidama department will continue to work very closely with the Masdar City team to do everything it can to ensure they meet the requirements of the 4 Pearl Community Rating that they are so committed to achieving,” remarked Al Khadar. “It will be the first in the UAE – a phenomenal goal that we are very excited to be working towards. 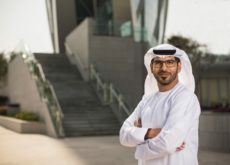 What this will mean for future residents of Masdar City is that they will be living in one of the most sustainable areas of Abu Dhabi – sustainability is the future for Abu Dhabi and creating sustainable communities is a key priority for us all,” he added.